Understanding the difference between annual percentage rate, or APR, and interest rate could save you thousands of dollars on your mortgage. But if you’re like most homebuyers, you probably don’t know that the interest rate and the APR measure 2 important, but different, costs associated with your home loan. Basically, think of the interest rate as the starting point in what you will pay for a mortgage loan, then tack on associated fees to calculate the APR. So APR will give you the total cost of the mortgage loan. The interest rate is the percentage of the loan amount that is charged for borrowing money. We can consider this the base fee. It is very important when comparing loan quotes since it directly affects monthly payments. The annual percentage rate is a calculated rate that not only includes the interest rate but also takes into account other lender fees required to finance the loan. 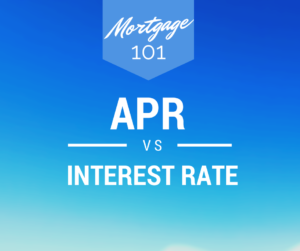 The idea behind APR is to help consumers understand the tradeoffs between interest rate and the fees paid at closing (such as paying higher fees to lower interest rates or increasing interest rates to cover closing costs). The higher the APR, the more you’re going to pay over the life of the loan. Consider that the less you pay in closing costs the more likely it is that the APR will be higher; whereas the more you pay in closing fees the APR will be lower. Fees and costs that may be bundled into the annual percentage rate are the origination fee, discount points, closing costs and the cost of mortgage insurance premiums. These fees are often referred to as finance charges, although there may be other fees that help constitute the APR that are not listed under finance charges. If you pay your property taxes or homeowners insurance through your lender because the payments are held in escrow, these are NOT part of the annual percentage rate because these are not charges being billed to you by the lender. The lender is just collecting those payments on behalf of the county or representing agency. How Annual Percentage Rate is calculated? Cost of the loan (fees required to finance the loan) is added to the original loan. Then the new payment is calculated. The fees are added to the original loan amount ($200,000 + $3,000) to create a new loan amount ($203,000). This new loan amount, along with the interest rate (5.00%), is used to calculate a new monthly payment ($1,089.75). The APR is then calculated by working backwards to figure out what the rate would have to be for a loan with the new monthly payment ($1,089.75) and the original loan amount ($200,000). This is your APR (5.13%). 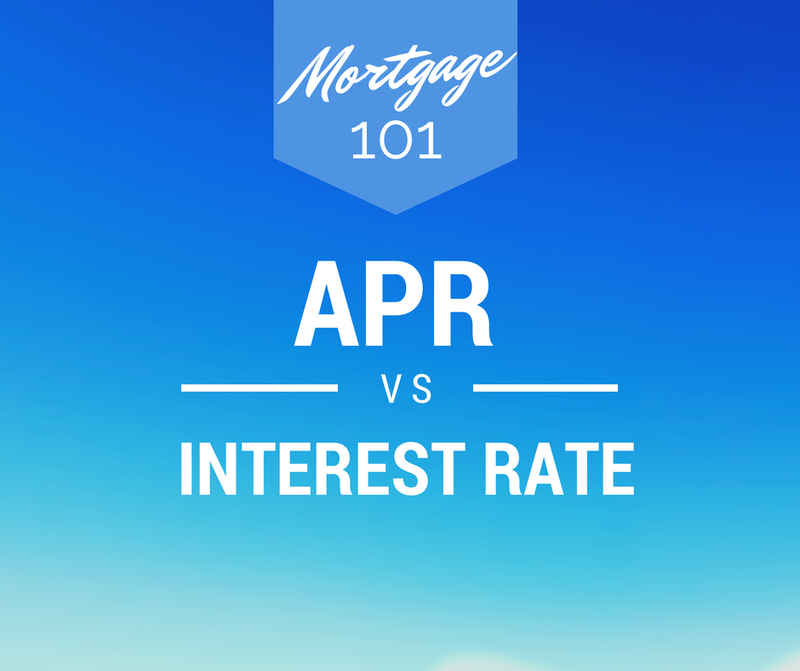 The APR is typically higher than the interest rate because it includes the fees. What Can Affect Your APR? Why is your APR the percentage it is? How does a lender calculate the APR on your loan? Well, lenders will use several things to determine your APR on a loan, including the type of loan for which you are applying, your credit history, and your current borrowing ratio (meaning how much debt your business currently owes). If lending to you seems like a low-risk endeavor, the bank will most likely offer you a lower APR in order to win your business. On the flip side, if you are a high-risk borrower, you will be quoted a higher APR. So in the case that you can’t repay your loan, the lender has already made up for most of the money they’ve lost by charging you a steep APR on the funds. It’s also important to know that some loans just cost more than others. Think of a home loan, for instance. A 15-year loan typically has a lower interest rate than a 30-year loan because it will be paid off more quickly. When you have a home loan for a shorter term, the lender takes on less risk—their money is loaned out for a shorter amount of time. If you’re planning to stay in your home for a shorter period, you need to do the math and figure out where your break-even point is. For example, if you chose a 0.25% lower rate for an additional 1.5 points because of the lower APR, but you moved in 5 years, you lost money, he says. Your break-even on the points was 7 years. Unfortunately, those calculations can often be confusing for most homeowners, which is why it’s crucial to pick the right lender. Interest rate and APR are important, but you should worry more about finding the right lender to explain your options and help you understand how they meet your specific needs. So are you interested in a low payment monthly now vs a higher cost over time? Get your lender to help. This can be a confusing calculation. FYI the discount points are paid for at closing this drives the cost of the loan up. The ‘all costs’ row is enlightening….if you bought points to lower your interest rate to 4% you have the lowest monthly payment. But at 3 years it is the most expensive option…at 10 years it is almost a wash…at 30 years it is your best option. So it depends on your overall goal and how long you stay in the home.